Even before its launch, microsoft made it clear that Windows 8 was to be an operating system developed touch screen: metro interfacewith tile sites si modern applicationsAlthough commentators regarded with skepticism by many users, optimized perfect for The touch (tablets or touch screen monitors). If you have such a touch device, And for whatever reason you want to disable touch-screen (Perhaps you did not used to it, or is happening quite often accidentally touching the monitor screen, or you may want to attach a mouse and standard keyboard tablet and you do not need to touch screen), Below you will find instructions on how to do this. 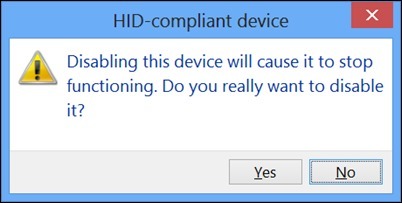 How to disable the touch screen in a Windows 8? 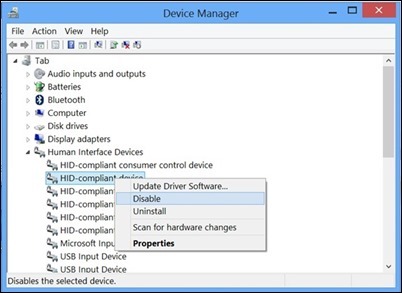 Although version Windows Developer Preview 8 was included in system settings and option disable touch screen (In Control Panel> More Settings> Hardware and Sound> Pen and Touch> Touch> Use your finger as an input device) Versions Preview release si RTM of Windows 8 Microsoft pulled this setting, making hard enough users can disable the touch screen. 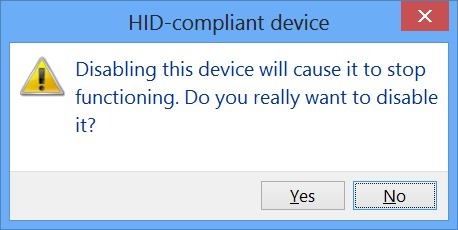 Fortunately there is another method through which you can disable touchscreen Windows 8. And ready. 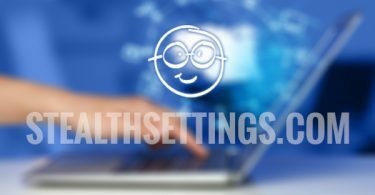 After you make this change, touch-screen computer's or device you will act as a normal screen (without touch functionality). If you want to reactivate touch screen, Sign in Device Manager> Human Interface DevicesThen right click> Enable all entries HID-compliant device. Note: Caution! Do not disable the touchscreen of a mobile device without having to reach a keyboard or a mouse that can be connected to it. Otherwise you can not turn back the touch screen (and the device becomes nonfunctional until you might be able to reactivate the touchscreen). Finally um que pro certo really give Windows 8.